Where the Stars Rise: Read Now! 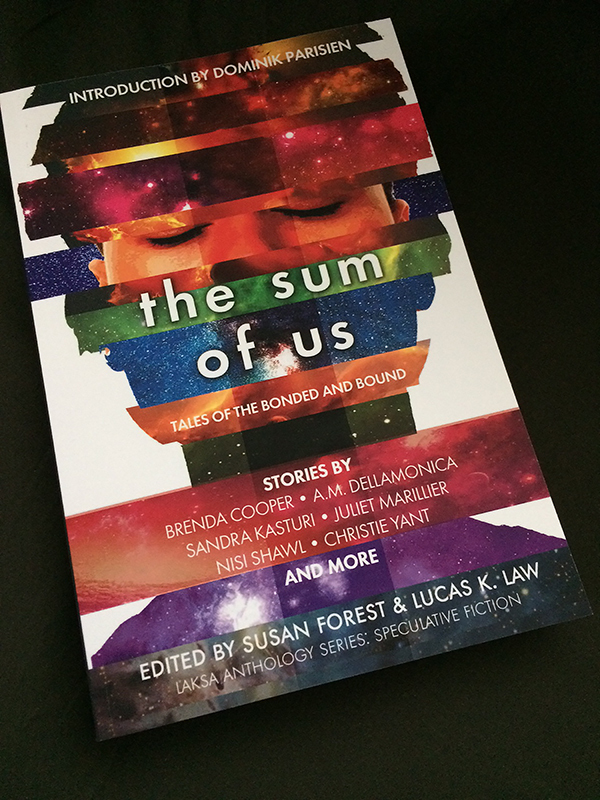 The Sum of Us: Read Now! 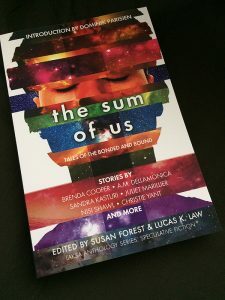 Strangers Among Us: Read Now! How is your Mental Health? Here we go again. Mornings in the Home always began the same way. No matter what time Stafford reached Anarcho’s room, Anarcho was invariably awake, waiting for Stafford to open the chintz curtains. But he never reprimanded Stafford for being late or wasting time. In the old days, Anarcho had been as impatient as all supervillains, ever eager to pursue some cunning scheme. Now there was no rushing and shouting and clanking; no messy experiments left bubbling overnight; no lairs to build or dungeons to dust. Today’s tasks were more homely. Stafford pulled back the duvet to reveal Anarcho’s shrunken frame, tinged green from over-exposure to tachyons. First came the bathroom routine: toilet, sponge wipe, shave, and so forth. Then the mechanical maintenance: eye lube, claw sharpen and polish, exobrain defrag and reboot. These prosthetics were all obsolete. Anarcho was the Home’s oldest resident, his life convoluted by time travel. He didn’t expect an answer. For form’s sake, he checked the control panel on Anarcho’s wheelchair but saw nothing. It had been years since Anarcho’s last caper. Stafford couldn’t decide whether he missed the old days. Back then, life had felt too frenetic, with a never-ending list of chores; every new plot always needed its own elaborate control room, destruct mechanism, and escape tunnel. Yet he’d enjoyed the craftsmanship of building vast laboratories and sinister machines. Now the chores were mundane: the new enemy was incontinence. Had all those intrigues been for naught? “Let’s get you down there,” he said. He settled Anarcho into the motorized wheelchair and draped a tartan blanket over his knees. The blanket lacked even the most basic hidden enhancements: no blast-proof shielding, no explosive tassels, not even a hypnotic fractal pattern on the reverse. It was merely 100% wool, soft and warm. The Home bustled with activity as the residents and their carers converged on the lounge. Stafford ducked aside as Madame Mayhem and Miss Rule zoomed past on their hoverchairs, racing each other along the corridors. Proceeding more sedately, Stafford and Anarcho were the last to arrive. “Oh, I’ll get us some breakfast,” said Doctor Havoc. With a well-practiced dramatic gesture, he conjured puffs of blue smoke from his hand. The clouds of nanites drifted through the kitchen doorway, returning with toast and mushrooms. One blue globule collided with a hoverchair and tried to drag it back, to Madame Mayhem’s furious protests. She retaliated by stealing slices of toast before the smoke took them to Doctor Havoc. In the tussle, stray mushrooms fell to the floor, where three of Legion’s tiny scuttling avatars scooped them up. Stafford said, “What do you reckon, Anarcho—is it an escape or a kidnap?” Some supervillains couldn’t bear retirement and returned to the metropolis like grizzled rock stars craving one last comeback. Phipps, Matron’s diminutive assistant, touched Doctor Havoc’s shoulder to verify his existence. Coincidentally—or not—a blue puff of smoke swirled into Phipps’ face and made him sneeze. “Sophie Béranger.” Matron only ever used civilian names; she insisted that every retired supervillain must abandon their alias along with their antics. While no-one openly defied her, many surreptitiously clung onto their monikers and misbehaviour. “Here,” replied Madame Mayhem, her fingers idly stroking a memorial necklace of fangs from Fidosaurus, her deceased pet dinosaur. The roll call continued until it reached, “Russell Fletcher.” Stafford waited a few seconds, then pinged Anarcho’s exobrain. “I’m here, wherever this is,” Anarcho said, his voice low and hoarse. “It ain’t heaven, that’s for sure,” said Doctor Havoc. “Come sit on my hoverchair, and I’ll show you heaven,” Madame Mayhem purred. The supervillains dissolved into giggles until Matron raised her voice to resume the roll call, which ended with no absentees—or none detected. “I know why galaxies collide,” said AlphaMega, his bass voice augmented with infrasonic rumble. “Yeah, your huge ego turned into a black hole and sucked them in,” retorted Madame Mayhem. I don’t got no friends, really, among the union crowd, so I’m sitting alone in the canteen when the union officer comes over to my table. I know him, of course. Paulo. He’s a tall guy—maybe six-five or so—and thin, all bones and joints. Tattooed on his neck is the union starburst. His sleeves are rolled up and the forearms are flecked with tiny scars, like fragments of shell: the tell-tale sign of a life-long shredder. He drops his tray, so that the plates and cutlery clatter, and climbs onto the bench opposite with the spindly grace of a spider. At first, he don’t say nothing. He just digs into his gruel—a weird porridge mix of proteins and carbs—and spoons it back, sitting in silence, as if we have breakfast together every day, the two of us. “You’re Mad Aggie’s guide dog,” he says. It’s not a question, but I nod anyway. Now it’s my turn to put down my spoon. I can see where this is going, sure enough, and I don’t got much appetite for gruel no more. He considers this. Considers me. His eyes are heavy-lidded, seemingly indifferent to the point of weariness. But I don’t buy that. That’s just his poker face. Again, it ain’t a question. And again, I nod. The union’s building a case against the company, to win worker’s comp and debility payments. They want Aggie to be part of that, on account of her reputation. Among blinders, her skill is legend. He reaches for his coffee, sips it—not taking his eyes off me. “You looking to get your ring, ain’t you?” he says. He means my union ring, and membership, and all the benefits and protection that brings: guaranteed hours, set pay increments, even overtime. He drains his coffee in one long, deliberate gulp, and places the cup between us, like an offering. He says if she puts her weight behind their cause, they got a better shot of winning the case, and that’s better for her, better for all of them. Company’s been hurting workers, shredding and burning and blinding us, for too long—all with impunity. I don’t got any idea what that word means. But I sure as hell know what he wants. He stalks up the long hall, each step a small poem of feline grace. An early morning hush lies over Autumn Gardens. Outside, the first birds are calling. Inside, there’s a distant rattle of crockery. He passes the doors, many doors, each slightly ajar. The residents lie still under their quilts, wrapped in memories that will vanish when they wake. Ah! Feet in slippers, here by the wall. A woman makes a shuffling progress, clutching the rail. He slips away, shadow-quick. Her ending will come soon enough; it is not for him to trip those faltering feet. His task is not to deliver death. Only to witness. Only to guide. Good smells ahead. The kitchen is at the far end of this hall—he is not allowed to enter. But he eats well. His man feeds him in their safe place, every morning after they wake, every night before they sleep. There was a time before: starving, snatching, devouring whatever scrap might come his way. Beetles, worms, smears of stuff in sharp discarded cans. It was a time of fear, of fighting, of running, always running. A big tom tore his ear. A hurled stone bruised him. But he got away. Over and over he got away. A baying dog chased him. He caught his foot in a fence, hauled himself free, ripped flesh from his leg. There was blood. He hid under bushes. Licked and licked, but could not make it better. A man came with cheese and meat and a trap, and he was caught. He fought the box that shut him in. He bit the hands that touched him; terror made him strong. But they were gentle hands, lifting him out, tending to his wound. He knew, for the first time, the feeling of a full belly. That was then. This is now. The man—his man—brought him here, made him his own safe place. A warm bed, sweet water, good food. He has a friend now, and a home. He has a solemn calling. The morning rounds bring him to the sunny room where the residents of Ward D now sit in their chairs. Some stare at the television, a flickering parade of images, a buzz of sounds. Some nod in half-sleep. It is nearly time for the wheeled trolley to bring tea and biscuits. He knows who will feed him crumbs and who will look through him, not seeing. “There you are, Piff.” Kind hands, these, reaching down to stroke him gently behind the ears. The touch contents him. He has many names at Autumn Gardens: Stripey, Honey, Thistle, and Orlando. To his man, he is Hamza. Those names are unimportant. He is Cat, servant of Bast. Here is the old woman who smells of flowers. He remembers a garden where he hid once, a place all tangled foliage and deep hollows; the same smell was there. He stations himself by the woman’s feet, waiting. The trolley creaks in; there’s a tinkle of crockery up above. “That’s nice, dear.” The trolley moves on. A generous supply of crumbs descends. They are the kind he likes best. Rattle of cups on saucers; muted voices. More crumbs here and there. He wanders, grazing. The trolley creaks out again. He settles, comfortably full, to drowse the morning away on a sunny window seat. His senses tell him there will be no further work until night falls and it is time to warm his man’s feet. But soon, very soon, the call will come.